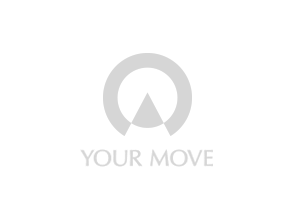 Your Move's Bromley office is centrally located on West Street, just a short walk from Bromley North Station where our talented local experts specialise in residential sales and lettings, covering all locations within Bromley & Beckenham and also Bickley, Chislehurst, Sundridge Park, Penge, Anerley & Grove Park. The sales team is headed up by David Wells who drives the team with great enthusiasm in providing the best customer service to all our clients. While our lettings team headed up by Matthew Coffey who is consistently delivering top class results for our landlords and tenants. We believe in putting the customer first and we combine state of the art technology with old fashioned polite professional service to provide an outstanding services to our vendors and buyers alike. Your local communities are also extremely important to us and we are constantly looking for ways in which to embed and assist with Local School Sponsorship being just one example of how we strive to give something back to the communities in which we operate. So if you are thinking of buying or selling, letting or renting we want to help with Your Move - call us or email, or feel free to pop into our West Street office any time for a coffee and a chat.